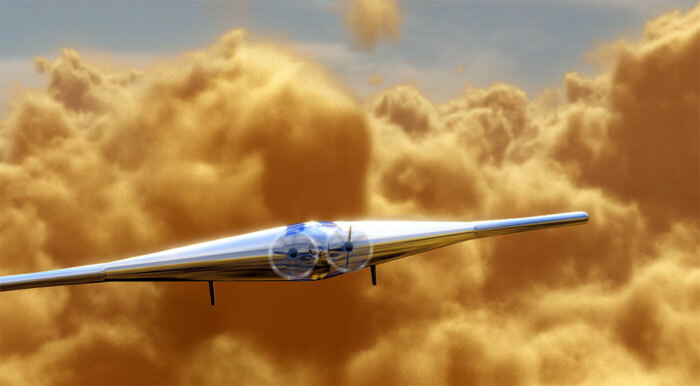 WASHINGTON — Northrop Grumman is developing an inflatable, propeller-powered aircraft for a years-long cruise in the sulfurous skies of Venus and is gearing up to enter the concept in NASA’s next New Frontiers planetary science competition. That Northrop believes its Venus Atmospheric Maneuverable Platform, or VAMP, could be ready to compete for about $1 billion in NASA funding as soon as Oct. 1 is a testament to the company’s confidence in the concept, which despite arousing the intrigue of some Venus scientists is technically immature and likely to face competition from finalists of NASA’s last New Frontiers contest. “I think we can be ready,” Ron Polidan, Northrop’s Redondo, California-based chief architect of civil systems, told SpaceNews. The next New Frontiers competition is set to begin in the U.S. government’s 2016 fiscal year, which starts Oct. 1. The winning mission would have to be ready for launch around 2021, Jim Green, NASA’s director of planetary science, said in February. To make that flight date, VAMP has to clear some major engineering hurdles. For one thing, neither VAMP nor anything like it has ever flown. The closest thing there is to a VAMP prototype today is a pair of ultra-light wings built in 2008 and 2010 by Northrop’s partner L.Garde Inc. of Tustin, California, for a defunct Defense Advanced Research Projects Agency initiative called Rapid Eye. The Pentagon-funded experiment aimed to create a collapsible, rocket-deployed drone that could arrive for reconnaissance duties anywhere on Earth an hour after launch. 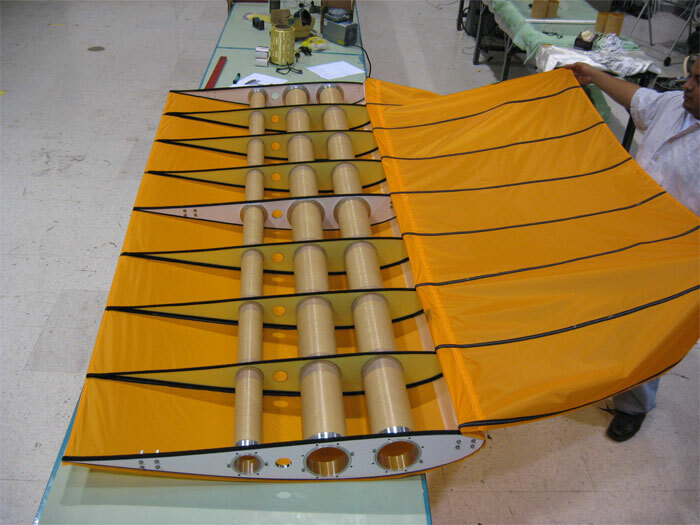 VAMP’s design will be informed by this lightweight prototype wing built (by L.Garde Inc. of Tustin, California) for a cancelled DARPA program aimed at building an inflatable reconnaissance drone that could be launched anywhere in the world in an hour. Northrop and L.Garde were working separate Rapid Eye contracts before combining their efforts prior to the project’s 2010 cancellation. The two L.Garde-built wings, essentially lightweight frames covered with an ultra-thin skin that would not survive in the caustic Venusian atmosphere, were tested in wind tunnels, but never in the sky. The larger of the wings was only about 2 meters long; an operational VAMP would have a 55-meter wingspan, Polidan said. Factoring in L.Garde’s work on Rapid Eye, Polidan estimates the VAMP concept rates a three on NASA’s Technology Readiness Level (TRL) scale, meaning the enabling technologies are still at the “proof of concept” level of development. Technologies that have been “flight proven” through actual mission operations are designated TRL 9. In its last New Frontiers competition, NASA accepted proposals only for concepts that had reached TRL 6 — a prototype demonstration in a relevant environment — or that could reach that benchmark by their preliminary design review. New Frontiers is for “flight missions, not technology development projects,” NASA wrote in the solicitation for the last New Frontiers competition, which the Osiris-Rex asteroid sampler won in 2011. Polidan does not think that is a deal-breaker. “The one nice thing for New Frontiers is they would like you to be at TRL 6 by the preliminary design review, so that gives you a few more years,” Polidan said. Unpacking Polidan’s reasoning, Osiris-Rex had its preliminary design review in March 2013, nearly four years after the start of the New Frontiers competition it eventually won. So if past is precedent (and if NASA maintains the same technology readiness standards for the next New Frontiers competition) Northrop could have as many as four years to prove VAMP can fly autonomously while bearing the weight and powering the instruments scientists most want aboard the craft. “We have a list of a about a dozen instruments that people have proposed we fly … and we convened a science advisory board to help us define both the instruments and where the aircraft needs to be to take the needed measurements,” Polidan said. Venus is one of the priority New Frontiers destinations identified in 2011 as part of the most recent planetary science decadal survey. Decadal surveys, published by the National Research Council, set science priorities in 10-year blocks. Hundreds of pages long, the surveys give NASA a compass to follow as it plans future missions and de facto triage instructions for times when budgets are tight. In February, Green said NASA will not deviate from the decadal’s instructions for the upcoming New Frontiers competition. That means Venus is on the radar, but it also means neither Venus nor VAMP is a lock. VAMP, should it enter the fray, will have to prove its mettle against missions to other high-priority New Frontiers destinations: the lunar poles; Jupiter’s moon, Io; the gas giant Saturn; and trojan asteroids. Finalists from the 2011 competition that could be resubmitted for the 2016 contest are: the MoonRise lunar sample-return mission from Washington University in St. Louis, and a Venus lander called the Surface and Atmosphere Geochemical Explorer, a University of Colorado, Boulder, proposal modeled after a sample mission described in the latest planetary science decadal survey. 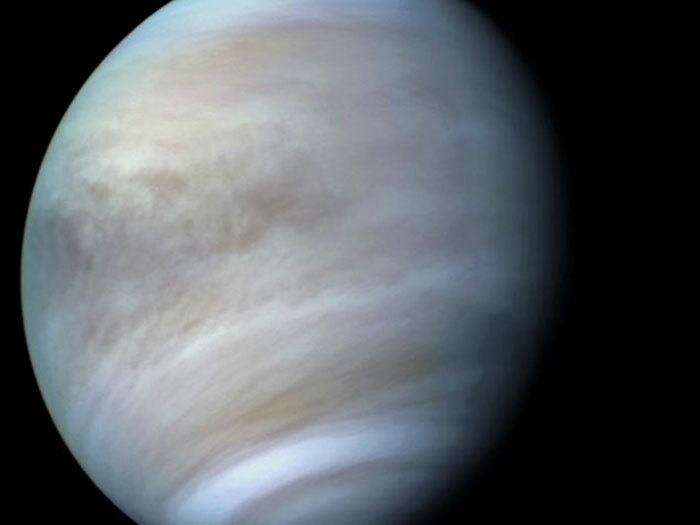 Venus, which Polidan jokingly called Earth’s “ugly stepsister,” is not well understood by scientists. That is due almost entirely to the planet’s unforgiving environment, which is a punishing place even for machines. The ground temperature on Earth’s superheated sister planet, first measured directly by the Soviet Union’s Venera 7 lander in 1970, hovers around 460 degrees Celsius. Ambient surface pressure is about 90 Earth atmospheres. That is the sort of pressure found 900 meters below the ocean’s surface. VAMP, however, would fly in a more forgiving environment. At its target altitude, 50 kilometers to 70 kilometers above the Venusian surface, pressures hover around 1 atmosphere, just like at sea level on Earth. The temperature at that altitude on Venus is about 15 degrees Celsius. The acidity at altitude, unlike the unforgiving surface conditions, “we can handle now with a lot of the materials we have,” Tsang said. Engineering challenges aside, VAMP still has an existential question to answer before it stands a chance in any competed NASA mission line: Can an aircraft flying 50 kilometers above the surface of Venus answer the science community’s most pressing questions about the planet? Northrop certainly thinks so. Its VAMP science advisory board is due to meet for the first time in May to help the company figure out the best ways to squeeze some of the priority science from the last planetary decadal onto VAMP. VAMP also passed the scientific sniff test with Tsang and two other Venus specialists reached recently by SpaceNews. All three of these scientists helped write the NASA-chartered Venus Exploration Analysis Group’s (VEXAG) 2014 science roadmap, “Goals, Objectives, and Investigations.” They agreed VAMP could complete some, although not all, of the roadmap’s proposed investigations. That roadmap split Venus science objectives into three essential categories: atmospheric measurements, surface measurements and measurements of the surface’s interaction with the atmosphere. VAMP could make such remote surface measurements with nadir-facing infrared sensors, Tsang said. The three scientists differed about whether VAMP could fit inside the $1 billion New Frontiers cost cap. Herrick declined to make odds, McGouldrick was pessimistic, and Tsang saw a ray of hope. “The downside of that is that VAMP is comparatively under-tested, which means it will be a difficult sell at any level of NASA mission, whether New Frontiers or flagship,” McGouldrick said. Conceivably, a VAMP-like aircraft, thanks to the low g-loads its light mass would produce, could inflate on orbit and descend into any planetary atmosphere for flight. That leaves the door open to fly VAMP any place in the solar system where a wing could create lift, such as Saturn’s moon Titan. On Earth, a VAMP-like aircraft has science and defense applications that could, among other things, funnel some much-needed work to Northrop’s partner on VAMP, L.Garde. “That third planet [Earth] may have interest in a vehicle of this nature for defense applications,” L.Garde spokesman Bert Watson told SpaceNews. Watson acknowledged L.Garde had “not yet” sniffed out any business leads at the Pentagon, however. Any new business would help L.Garde, which in October laid off about half of its 35-person staff after NASA pulled the plug on the Sunjammer solar-sail mission. The small Sunjammer spacecraft would have used a shiny, 1,200-square-meter sail about 5 micrometers thick to perform near-perpetual station-keeping maneuvers at a solar orbit roughly 3 million kilometers from Earth. But L.Garde could not find an experienced spacecraft prime to build the satellite, then failed to complete the build in house. NASA eventually lost confidence in the company and canceled the Sunjammer contract. L.Garde management subsequently admitted spacecraft development did not exactly fit in the company’s wheelhouse. On the other hand, deployment of inflatable structures in space is a core competency, Watson said, pointing to L.Garde’s work on the successful Spartan 207/Inflatable Antenna Experiment that flew on the Space Shuttle Endeavour’s STS-77 mission in 1997. L.Garde expects to meet with Northrop soon to exchange ideas about the answers to some of those questions, Watson said.